Assisted Reproductive Technologies in the Global South and North critically analyses the political and social frameworks of Assisted Reproductive Technology (ART), and its impact in different countries. In the context of a worldwide social pressure to conceive - particularly for women - this collection explores the effect of the development of ARTs, growing globalisation and reproductive medicalization on global societies. Providing an overview of the issues surrounding ART both in the Global South and North, this book analyses ART inequalities, commonalities and specificities in various countries, regions and on the transnational scene. From a multidisciplinary perspective and drawing on multisite studies, it highlights some new issues relating to ART (e.g. egg freezing, surrogacy) and discusses some older issues regarding infertility and its medical treatment (e.g. in vitro fertilisation, childless stigmatisation and access to treatment). 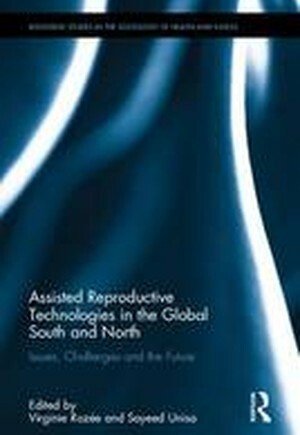 This book aims to redress the balance between what is known about Assisted Reproductive Technologies in the Global North, and how the issue is investigated in the Global South. It aims to draw out the global similarities in the challenges that ARTs bring between these different areas of the world. It will appeal to scholars and students in the social sciences, medicine, public health, health policy, women's and gender studies, and demography.